Frank Lotz is a teacher of the Transcendental Meditation program and one of the best known Ayurvedic chefs in Germany. He is responsible for training the cooks at the International Capital on Vlodrop, Holland. 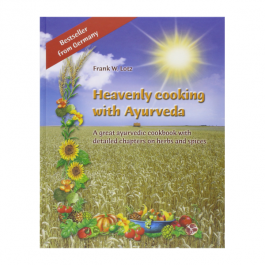 Frank has written an Ayurvedic cookbook, Heavenly Cooking with Ayurveda. This exceptional book is overflowing with his experiences as a chef, as well as his many years as a teacher of the Transcendental Meditation program, and the wisdom he gained from his time with Maharishi. 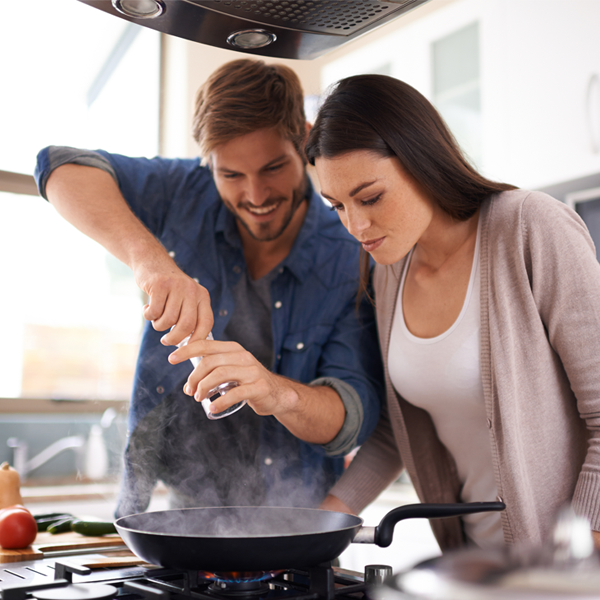 All recipes show you how to pacify the 3 Doshas: Vata, Pitta and Kapha. Many recipes that are tasty, light to digest and healthy too. The design of the book is fantastic. Whether it is Orange Sorbet Casablanca, Minestrone di Verdi or Himalayan White Cloud Rice, these delicious recipes will inspire you to learn more about Ayurvedic Cooking. Using the motto, "Heavenly cooking and healthy life", Frank Lotz builds a bridge between our modern age and the Vedic tradition. The recipes are tasty and easy to digest. Those who are new to the art of Vedic cooking will find the dishes easy to prepare. Whether you are already a vegetarian, or just want a meal without meat for a change, you will find many great recipes in this book. The book contains beautifully spiritual stories, a comprehensive introduction and the recipes are complemented with an informative section on herbs and spices. The occasional comments from "Grandma Minna" are full of humour and good advice. Heavenly Cooking and Vedic Life is a book for body, mind and soul. Frank Wolfgang Lotz is one of the best known Ayurvedic chefs in Germany. He has cooked in many places, including the Maharishi Ayurveda Clinic in Bad Ems, Germany. This exceptional book is overflowing with his experiences as a chef, as well as his many years as a Teacher of Transcendental Meditation and the Vedic wisdom he learnt from his time with Maharishi Mahesh Yogi.